The Europa League quarter-finals get underway this week, and despite reaching the latter stages, the competition is still wide open. One of our illustrious tipsters already advised backing Sevilla to lift the trophy at a whopping 20/1 21.00 +2000 20.00 20.00 -0.05 way back at the start of the season, and if you took some of that action now is the time to pat yourself on the back! Anyone who took those odds could easily trade out of the bet now for a guaranteed profit, or let it run on the in-form Spanish side. The first tie between Club Brugges and Dnipro will ensure that one of the two outsiders is assured of a semi-final spot. Club Brugges surprised a few people when they beat Besiktas in the last round, winning 2-1 at home, and impressing in a 3-1 win away. Ukrainian side Dnipro also upset the odds in the previous round, as they squeezed past Ajax on away goals. Whichever of the teams makes it through to the semi-final though, it’s hard to see them getting any further. Dynamo Kiev ousted the last of the British sides when they knocked out Everton in the last round. They lost the first leg 2-1 at Goodison, but stormed back with a 5-2 win on home ground to put the tie beyond doubt. Historically they have a rich European pedigree, although less so in recent years. but they will be a tough nut to crack nonetheless. Fiorentina are having an excellent season in Serie A, and signaled their intent in this competition when they dumped Roma out of the tournament with a 4-1 aggregate win. They’re currently 5th in the table, battling it out with Napoli and Sampdoria for the two Europa League qualification spots, but with the winner of the trophy this year also gaining Champions League qualification, their priorities probably lie here rather than in the domestic league. If they come away with any kind of result here, we’d fancy them to go on and win the tie in the second leg at home. The last two quarter-finals pitch four of the best sides left in the competition against each other, and two of them will definitely say goodbye before the semi-finals. Sevilla face a tricky tie against Russian side Zenit St. Petersburg, and will need to gain the initiative in the home leg before traveling to Russia for the second match. The Spanish side have been in particularly good form of late, and they currently sit 5th in La Liga, just three points behind Valencia in that coveted fourth place. It would be a huge disappointment for the reigning champions if they didn’t qualify for Champions League football next season, and they have two chances with this tournament and via the league. Zenit are eight points clear at the top of the Russian Premier League under former Spurs boss Andre Villas Boas, and they will provide stiff opposition. Sevilla are the current holders of the Europa League, after beating Benfica on Penalties last year, and they would love to get back to the final to defend their trophy. They beat Villarreal in the last round, while Zenit were beating Torino, and this is a tough quarter-final to call. Sevilla probably just shade it, and we’ll be hoping they go through and knock out a potential danger in Zenit along the way. The last of the ties features the current favourites, Wolfsburg, against Rafa Benitez’ Napoli side. The German team are excelling this season, and it’s not a surprise that the bookmakers have installed them at the head of the market. They’re riding high in 2nd place in the table behind Bayern Munich and they have a seven point gap ahead of third placed Borussia Monchengladbach. Champions League football looks assured for next season, and they also have the German Cup semi-final on the horizon as well. It’s a good time to be a Wolfsburg fan, but Napoli provide stern opposition. Wolfsburg were impressive in beating Inter Milan both home and away in the last round, but Napoli also performed well to beat Dynamo Moscow 3-1 on aggregate, and they have a great cup record under Rafa. This tie is balanced on a knife edge, and it’s tough to back either side to win the trophy when they could easily depart the competition in the next couple of weeks. With neither Club Brugges or Dnipro really appealing as possible winners of the competition, we’re looking at the other six teams. We strongly fancy Fiorentina to overcome Dynamo Kiev in their quarter-final, and they could be poised for a major tilt at the trophy. We’ll be supporting Sevilla in their match-up with Zenit St Petersburg, and they could take out one of the big dangers to both themselves and Fiorentina. Wolfsburg and Napoli both have the potential to go on and win the trophy, and both are good sides. One of them will be out after the two legs have been played though, which makes it hard to back either. 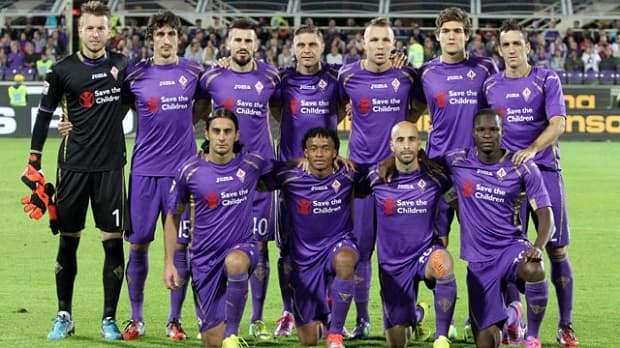 We’re adding Fiorentina to our stable, and along with Sevilla that gives us two great chances in the Europa League.